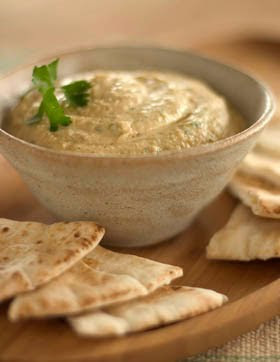 I am now feasting on garlicky, lemony hummus spread over toasted pita. This Tuesday is shaping up just fine. I based this on Ina Garten's recipe, with some slight doctoring.